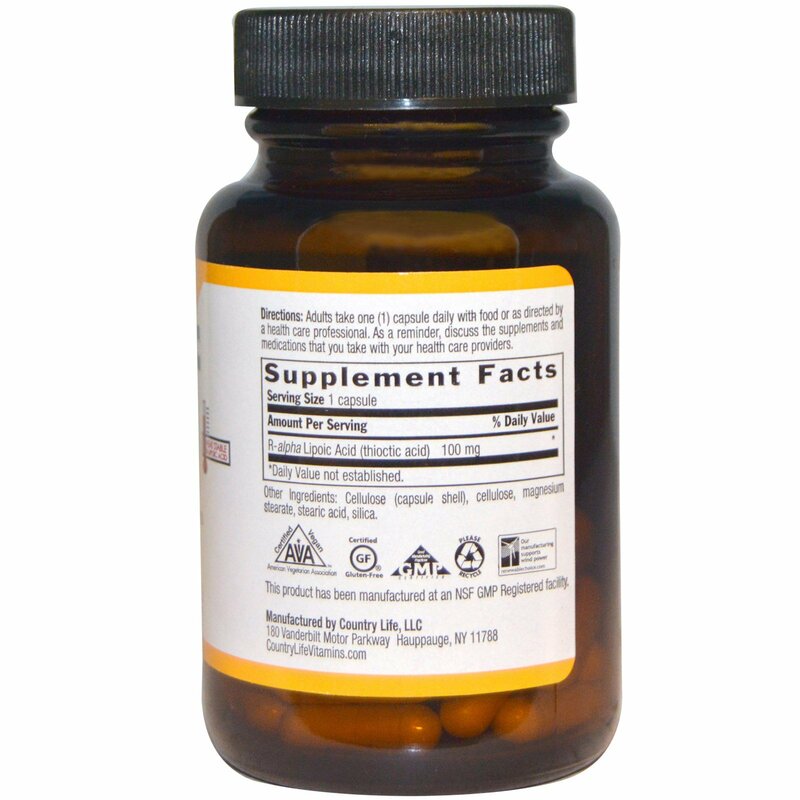 This product has been manufactured at an NSF GMP Registered facility. 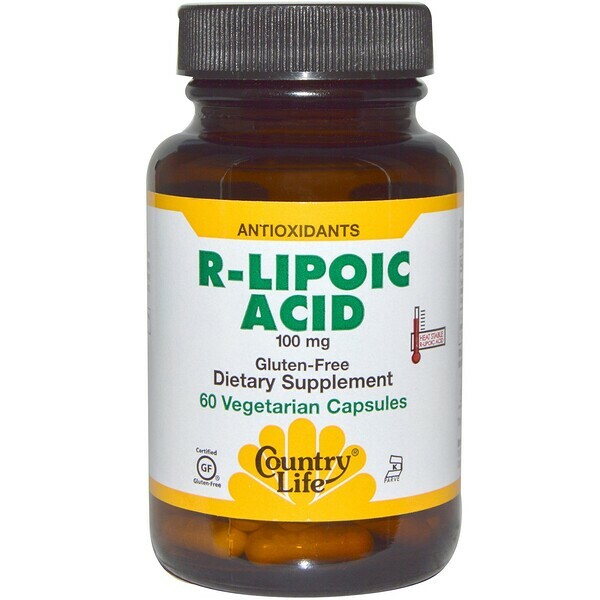 R-alpha Lipoic Acid is an antioxidant. Directions: Adults take one (1) capsule daily with food or as directed by a health care professional. As a reminder, discuss the supplements and medications that you take with your health care providers. Cellulose (capsule shell), cellulose, magnesium stearate, stearic acid, silica. NO: Yeast, corn, wheat, soy, gluten, milk, sugar, preservatives or artificial color. Store between 59°-86° F. Keep out of the reach of children. Not for use by pregnant or nursing women. If you are diabetic or hypoglycemic, taking medication or planning a surgery, consult your doctor before using this product. If any adverse reactions occur, stop taking the product and consult your doctor.